Seamer Suranga Lakmal will lead Sri Lanka in the deciding third and final Test after regular ICC turned down Dinesh Chandimal’s appeal over ball tampering. Judicial Commissioner, Michael Beloff QC who heard Chandimal’s appeal, has dismissed it after the Sri Lanka captain was found guilty of changing the condition of the ball in breach of clause 41.3 of the ICC’s Standard Test Match Playing Conditions during the second day’s play in the second cricket Test against the Windies in St Lucia on Saturday. Mr Beloff’s written reasoned decision will be provided on Wednesday 27 June. Chandimal will therefore miss the day/night Barbados Test, which commences on Saturday. Accordingly Lakmal, 31 will lead the side. 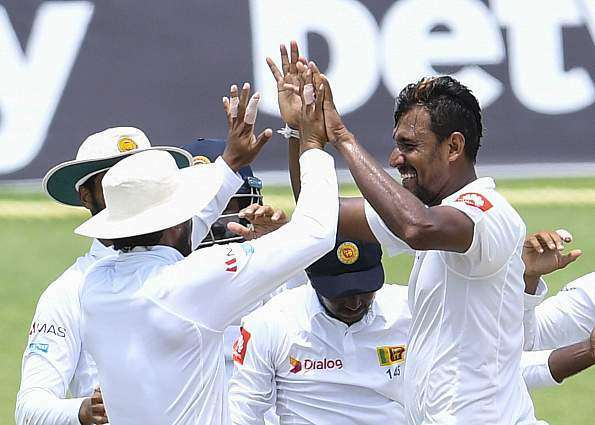 Lakmal and Rangana Herath were front-runners to lead the side but Herath was ruled out of the third Test witha split webbing on his right hand. Sri Lanka must win the final match to level the series which West Indies lead after their 226-run win in the opening match.